I think I've become a complete homebody...I don't know if it's because I have 4 children and the thought of going to Costco or anywhere with all of them makes me cringe but lately I just do not feel like making the effort to leave the house. I know it's partly due to my new sewing "addiction" and I think about the hours I will waste shopping when I could be at home creating...I'm pathetic I know. Or how I don't want to struggle to find something that might fit me right now since I keep saying I'm going to go on a diet or start exercising but never manage to do either. The thing that bothers me the most with that whole issue is I actually have to make an effort now to lose weight. I think after you turn 30 it all of a sudden gets a lot harder. And my problem is not that I gain weight during pregnancy (because I do gain a little but this last one I actually lost more than I gained since I was puking everyday - the others were bad but not AS bad) but that I gain it after. During my pregnancy everything makes me sick so after I think I eat since I've been utterly deprived for 9 months. And it's not like I need to lose a lot of weight but a good 10-15 lbs. wouldn't hurt me at all. Sorry to go on and on about weight. This has nothing to do with the begininning part of my post - I think I'm mentally trying to gear myself up to start exercising this afternoon when hubby comes home. I even bought myself some new running shoes and since soccer season (yes, mommies play too) starts in mid-September I need to get in shape now so I'm not begging for a sub after playing for 5 minutes! So anyway I think I'm being forced out of my home today since eventually we will need to start school again (that's a great thing about homeschooling - you feel a little rebellious because you can start school whenever you want to!). I'm making up my list for Walmart (sadly there are no Targets in Hawaii...or other wonderful stores that you on the mainland are lucky enough to have) and want to get there before the school items are all gone or no longer on sale. I actually haven't even cracked open my teacher's manual since I got it back in May so I need to look around it and see if there's anything we need for the first few weeks of school. 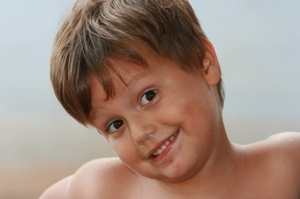 This year I am tackling teaching Kindergarten to son #2 so this could be quite a challenge. He tends to march to the beat of his own little drum :-) - we'll see soon enough how it's going to work out. 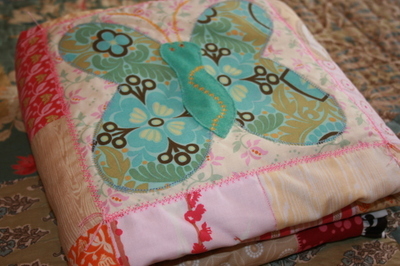 On to crafting news...yesterday I sewed together the makings of a quilt for above son. 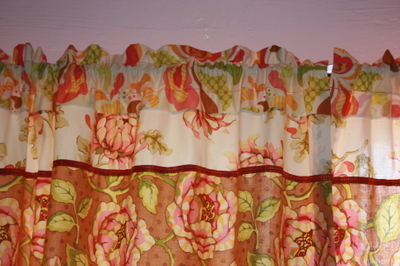 I sewed while watching the most wonderful movie ever.... 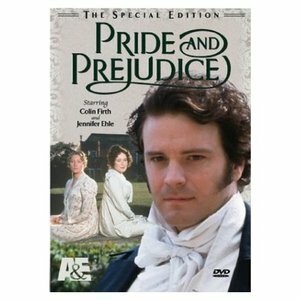 I must say I have a huge "crush" on Colin Firth - I don't know what it is and he is just so wonderfully akward in this movie (and most other movies I've seen him in too). So that was how I spent the day yesterday..of course there was lots of pausing (so as not to neglect the children) but I managed to squeeze out some quilt squares. I used this as a guide of some sorts and I'll have to lay them all out and see if any of the squares actually go together - right now I'm a bit unsure. My poor hubby - dinner turned out to be chicken soft tacos - not very original but it was all I could throw together since I had spent most of the day sewing. I'll try and snap some pics later so you can see the squares before they are all sewn up - it actually came together much quicker than I thought - especially since I wasn't alone sewing yesterday. Ok so I'm off to stop a pillow fight and enforce some chores so we can get a move on...if only mommy would get off the computer things would progress much faster. I think I've become addicted to sewing and making things. I know it will all be over soon since school will start in a little while and then I won't have much time but until then I want to just sit and sew. 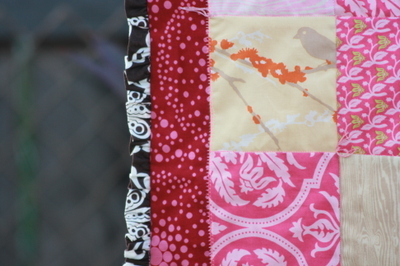 I just love the fabrics out right now and it's so fun seeing things take shape from them. I really need to make some quilts for the kids. Son #2 has a tiny quilt that a friend gave him as a baby and it's too small but he loves it and it's all he sleeps with. I need to make him a cozy quilt that actually covers his body - I have Heather Ross's cute vw print and a couple Japanese imports I can mix in. I really want to try a log cabin quilt like this but I know that requires patience and time and I'm not sure I'm up to it - man, they sure look nice though! I think I'll make some patchwork quilts with it. 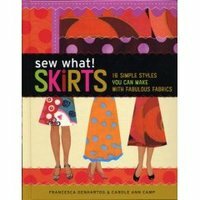 I have so many sewing patterns and books that have been on the shelves for too long and need to be brought out and experimented with. I've only recently tried to make clothes and the only patterns I've used so far have been very easy. I'm a little nervous about venturing into harder patterns but I do have a seam ripper and am not afraid to use it if things get out of hand! I just love all the beautiful purses and totes out in blogland right now and would love to try my hand at making one. 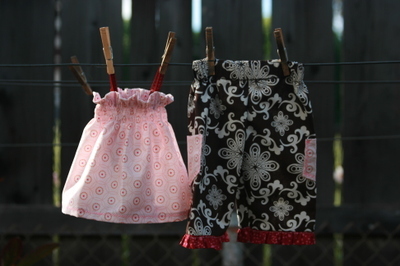 Sew Mama Sew's blog has some great tips and I think once I start I will refer there often. Did you all catch this beautiful bag the other day? I think it has to be one of the prettiest purses I have ever seen! I can't get over the quality of workmanship she put into it! I got these wonderful books in the mail the other day.. I think a skirt for myself is in order but that seems like quite an undertaking. 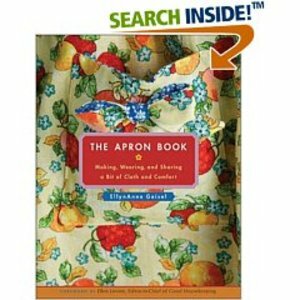 I need to make a couple of aprons as well since I am always getting my shirts horribly dirty during cooking times. I tend to use them as a dishcloth or apron instead! So we're back from the party and the game and they won!!!! In a very intense, exciting finish...with seconds left on the clock a guy on our team was fouled and made both free throws to get us up by 2 and we won. The guys were stoked and it was fun for them to win. The birthday party was so cute - I wish I had taken my camera. The mom had decorated with butterflies and flowers everywhere and candy galore! My kids were so sugared out but somehow managed to crash as soon as we got home. They even had little minature cakes for the kids to decorate for themselves! Poor Baby girl has had a fever the past three days and today the fever broke and it looks like it's a case of baby measles (she did not attend the party- in case you were worried we infected everyone!). At least we know now what was wrong and why she's been so fussy. Here's a couple pics of the quilt for the baby shower tomorrow - hope she likes it! 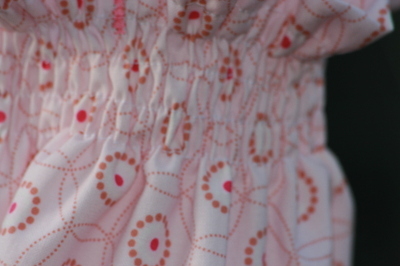 I got the idea for a ruffle after looking at Heather Bailey's blog and all her beautifully ruffled things...I'm in love with ruffles now :-) and I've found if I set my machine to the longest stitch and highest tension setting, it ruffles all by itself! 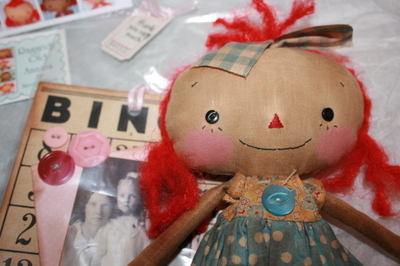 It is the cutest little doll you have ever seen! Thanks Nicole - I love her! Here's another pic of the goodies she sent me.. I have been a mad crafting machine as we have a bunch of b-days this week. One today, another tomorrow and a baby shower and then another next weekend. For the b-day today I made the birthday girl a little outfit - I used Chocolate Lollipop and Joel Dewberry's Aviary. 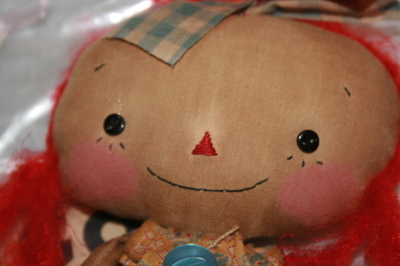 I also made her a little SangSang doll from Melly and Me's pattern - I love their patterns - they are too cute!! Ok I better get a move on but wanted to try out my new blog for the first time. Hubby has a championship basketball game today before the b-day party (I know - it sounds important but it's just a local church league but the guys take it very seriously! Hope they do good! ).